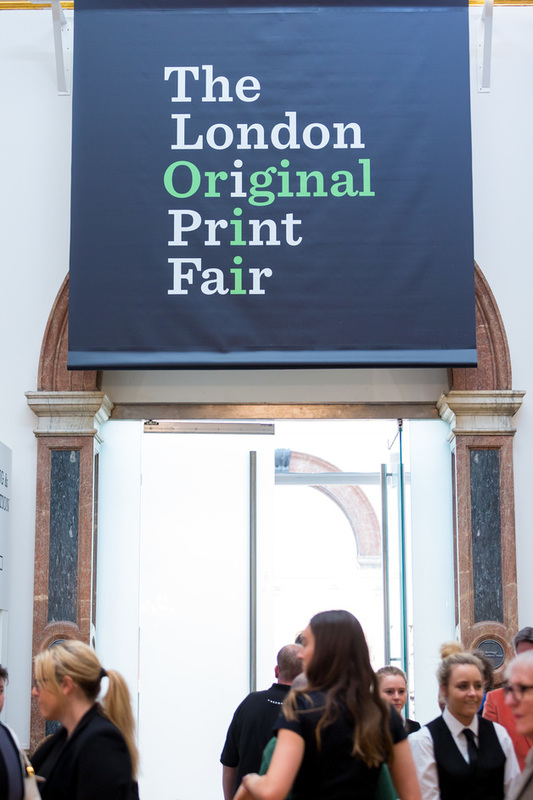 The London Original Print Fair, the world's longest running specialist fair dedicated to prints, returns to the Royal Academy of Arts for the 34th time in 2019, gathering 50 of the world's leading print dealers together at the prestigious London art gallery. It's a chance to see exquisite etchings, engravings, linocuts and lithographs from all periods of printmaking, from the earliest woodcuts of Durer to the latest additions by contemporary masters. Galleries including Bernard Jacobson, Alan Cristea, Eames Fine Art and Rabley Gallery take part, showcasing works by Royal Academicians and high profile artists - including Old Master prints by Durer, Goya, Warhol, Ruscha and Hockney as well as new works by Cornelia Parker. One highlight is Worton Hall's new project by Sir Peter Blake, Ways of Making, which includes etchings, screenprints and aquatints. If you're planning to visit the fair from outside London, have a look at our hotel deals near the Royal Academy of Arts for all your accommodation needs. What are the best dining options near London Original Print Fair London? London Original Print Fair gyms, sporting activities, health & beauty and fitness. The best pubs near London London Original Print Fair. London Original Print Fair clubs, bars, cabaret nights, casinos and interesting nightlife. Where to have your meeting, conference, exhibition, private dining or training course near London Original Print Fair. A large-scale installation that uses recycled materials like cardboard, cement and plaster to create looming forests of structures that respond directly to the space they inhabit. An opportunity to view and purchase original prints spanning five centuries from top dealers, galleries and studios, including works by Rembrandt, Canaletto, David Hockney, Cornelia Parker, Grayson Perry and Christopher Le Brun PRA. The world's largest open submission art show, bringing together multiple disciplines such as prints, paintings, film, photography, sculpture and architectural works. From cheap budget accommodation to luxury 5 star hotels see our special offers for Royal Academy of Arts hotels, including Cafe Royal Hotel from 97% off.